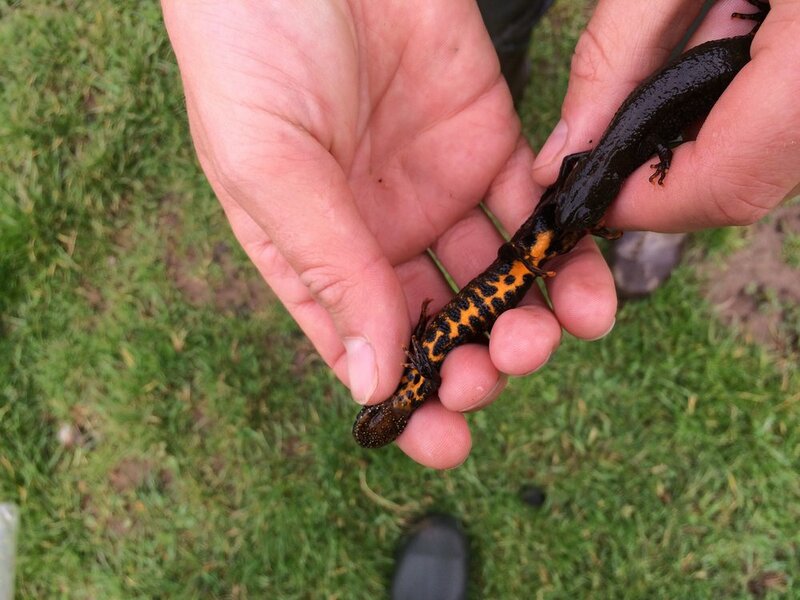 Great Crested Newt surveys are the traditional curtain raiser to the main protected species survey season for field ecologists, with newt surveys commencing in mid-March. At BiOME we have staff licenced to survey for Great Crested Newt throughout England, Wales and Scotland and in 2016 we undertook Great Crested Newt surveys in numerous counties including Norfolk, Suffolk, Cambridgeshire, Essex, Shropshire, Staffordshire, Herefordshire, Worcestershire, West Midlands, Clyde, Ayrshire and Dumfries and Galloway. Habitat Suitability Index (HSI) calculations as an aid to determining likely presence/absence of Great Crested Newt and to inform the requirement for further surveys. Environmental DNA (eDNA) surveys. eDNA analysis is a new method for species monitoring in water bodies. Statutory bodies in Great Britain have approved this method for the determination of Great Crested Newt presence/absence. Pond surveys (including bottle-trapping, torch surveys, Great Crested Newt egg searching and netting) during the breeding season. Terrestrial Great Crested Newt surveys outside the breeding season. Translocation and other forms of mitigation. We look forward to supporting clients through the completion of Great Crested Newt survey and assessment work in 2017. Should you require any assistance, please contact us.